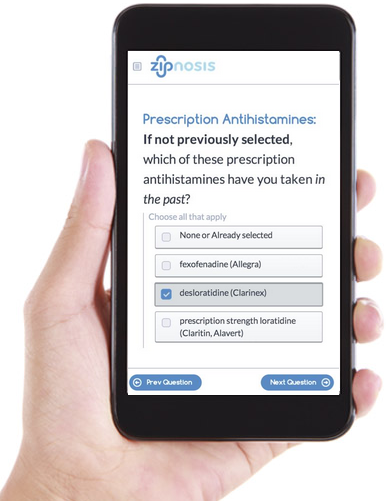 Zipnosis, a digital medicine startup has developed a 24/7 online diagnosis and treatment option for common medical conditions. Zipnosis partners with health systems across the country to power virtual care services that are white labeled. In hopes to make mainstream medicine both affordable and readily available, they connect the patients with local clinicians. Patients can receive care for common medical conditions such as sinus infections, female bladder infections, pink eye, or cold, cough and flu via a mobile phone, computer or tablet - a simple online diagnosis and treatment in minutes. At Drug Delivery Partnerships 2015, we are going to address a critical gap in patient adherence and treatment outcomes with evolving digital technologies that will shape the future of drug delivery in the healthcare ecosystem. Digital health technologies are addressing a critical gap in patient adherence and treatment outcomes that have the potential to transform the way we think about and create innovative health care products and services. Ingestible, wearable and implantable physiological sensors, “smart” packaging and digital health feedback systems are a few of the rapidly evolving technologies that are shaping the healthcare ecosystem. This discussion provides a perspective on some of these innovative technologies and concepts and the future direction of drug delivery and product development. In a session titled "Leveraging Digital Medicine in the Future of Drug Delivery", Ronald L. Smith, Distinguished Scientist, Pharmaceutical Sciences, Merck Research Laboratories will dive into these ideas and discuss what the future direction of drug delivery looks like. Register for DDP & save $300! Use the code XP2078BLOG | Register here.